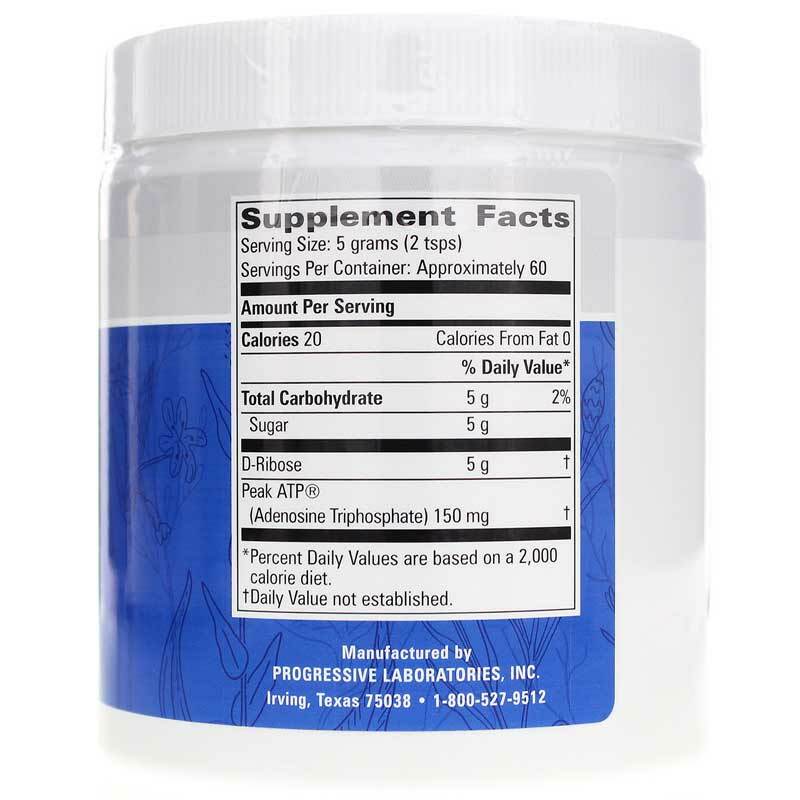 Ribose is a substance naturally produced by your body. It's found in every one of your cells and is used to produce energy. Ribose is the fundamental building block of ATP, which is the primary source of energy throughout your body, is also a vital player in proper levels of heart energy as well. 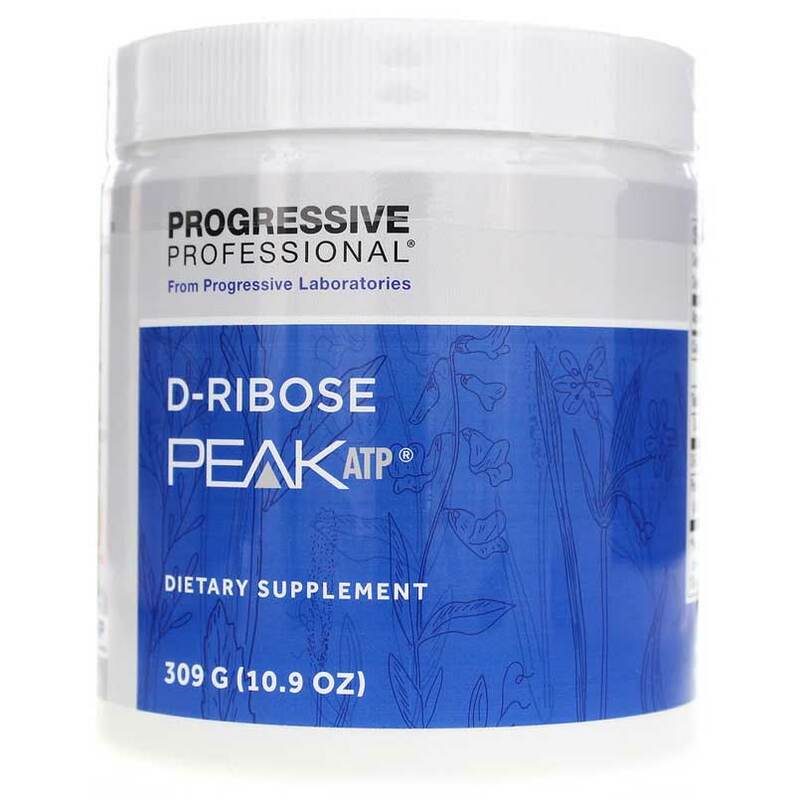 Progressive Labs offers a product called D-Ribose with Peak ATP, a dietary supplement that delivers the ribose and ATP your body needs to maintain healthy energy levels all day, every day. D-Ribose with Peak ATP from Progressive Labs Is manufactured in an NSF GMP-registered facility, and comes in a convenient powder form that is easy to use. Just mix two teaspoons into eight ounces of water, stir briskly, and enjoy! Drink on an empty stomach, around 30 minutes before planned meals. Give yourself an all-natural energy boost. Try D-Ribose with Peak ATP today! Adults: Mix 5 grams (2 teaspoons) with 6 to 8 ounces of water, stir briskly and drink. Take twice daily, or more, on an empty stomach, 30 minutes before meals. 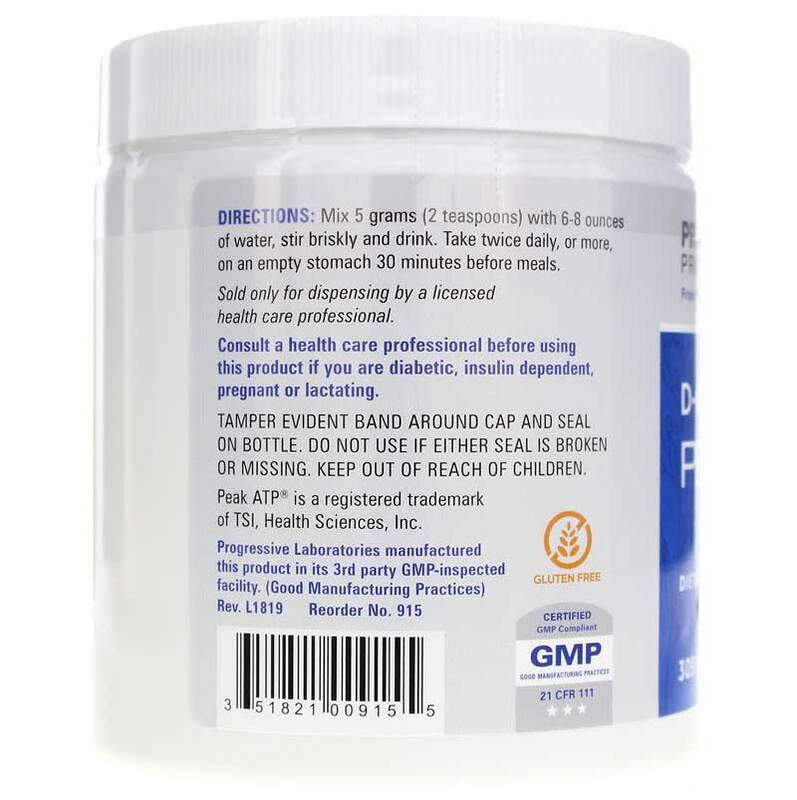 If you are diabetic, insulin dependent pregnant or nursing, consult your healthcare professional before using this product. Keep out of the reach of children.